Who can take a Failure to Yeild Course? 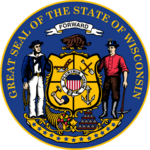 Any person who receives a citation and is convicted for failure to yield under Wisconsin statute 3​46.18​ is able to ​attend 0-Hidden-Fees-2-Hour-Video-Course Failure to Yield's Licensed failure to yield right-of-way course. How long will it take for me to finish the course? While our course is self paced. It would take you 2 hours to complete our course. How does your defensive driving course help me keep points off my Driving Record? Our online defensive driving school is licensed by Wisconsin Department of Transportation. Upon completion of this course we will give you a completion certificate which you can provide to your court by mail, fax, email or in person. When you follow this steps as part of your agreement with the court, they will not add points to your record. Yes! As a matter of fact, over 70% of our students finish our course on the same day. It’s made to be easy, fun and simple for you. No, we save your progress each time you complete a quiz so you can login anytime and begin where you left off. Our failure to yield course has total of 5 short chapters. Is there a final exam to take? Yes the State of Wisconsin requires students to pass the final exam at the end. However we give you unlimited retakes to pass, making your course easier then the most. Can I fail this course? We already give you unlimited attempts to pass the chapter quizzes and therefore no chance of you failing the course. When will my certificate be delivered? Your completion certificate can be sent to you via Email, USPS or FedEx. Depending on the delivery method you choose, we will process your certificate on the same business day. Does your website work on all devices? Yes. When we designed our website, we made sure it works on smart phones, tablets and computers alike.